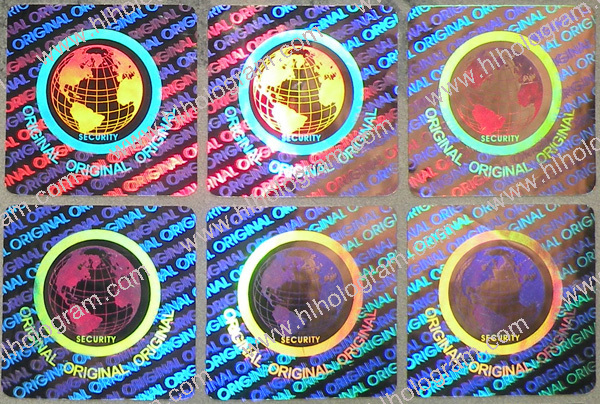 All stock hologram stickers can be made in silver, golden, red, blue, green color. They are available in normal tamper evident, VOID, ORIGINAL tamper evident and Honey comb shape security. All these sticker can have see through high security number in sequential number. 2D/3D Hologram sticker. Label cutting can be circle, oval and special shape which is smaller than 18mm*18mm. Hologram sticker can in color of silver, golden and blue. It can be made into transparent Hologram too. VOID Tamper Evident Destructive Security Hologram Sticker. 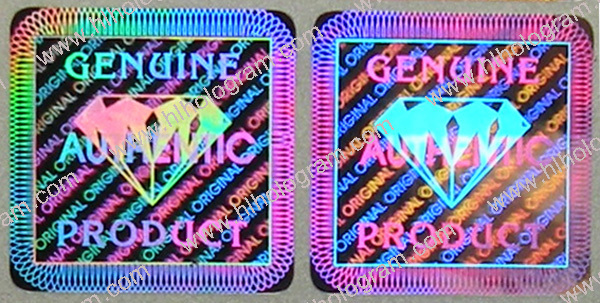 New General design No.127 ORIGINAL Holographic Label, 18mm*18mm, SECURITY Global. 18mm*18mm, Stock Design Security Hologram Label. Tamper Proof Destructive Holographic Label. Silver Color, VOID Tamper Evident, Destructive Hologram Sticker. 2D 3D Hologram sticker. Label cutting can be circle, oval and special shape which is smaller than 30mm*15mm. Hologram sticker can in color of silver, golden and blue. It can be made into transparent Hologram too. VOID Hologram sticker with Laser Ething 'SECURE' and Numbering. Hologram sticker can in color of silver, golden and blue. It can be made into transparent Hologram too. Henglei Hologram © 1998-2008. All rights reserved.